Spur cables connect individual SeaTalk NG devices to the backbone. Spurs connect to the backbone via either a SeaTalk NG T-Piece or 5-Way Connector. 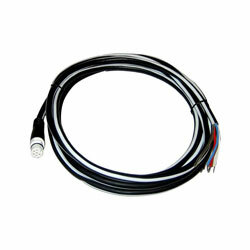 Use the stripped end spur cable to attach ST70 transducer pods to the backbone.